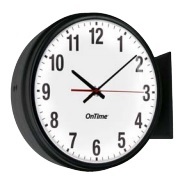 Inova OnTime® analogue clocks provide accurate, synchronized time throughout a facility in a sleek analog format. Visible at over 100 feet, these clocks keep everyone on the same schedule. 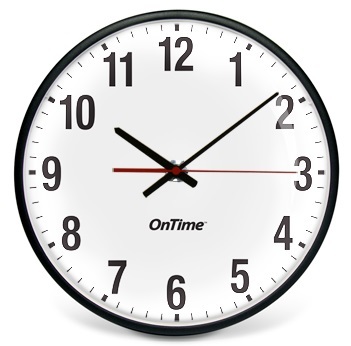 OnTime clocks utilize cutting-edge Power over Ethernet (PoE) technology, a superior power source for clocks because it eliminates the need for AC receptacles, individual batteries and allows for centralized UPS backup. 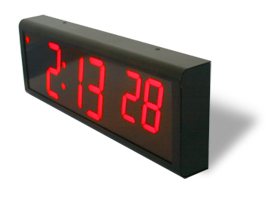 The clocks plug directly into a standard Ethernet jack and draw both time updates and power from the network. 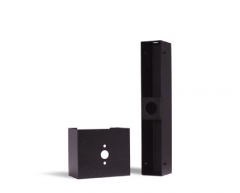 No AC outlets are needed – eliminating cost and complexity from system deployment. Since PoE devices consume significantly less power than AC-powered devices, they are widely regarded as energy-efficient and environmentally-friendly. 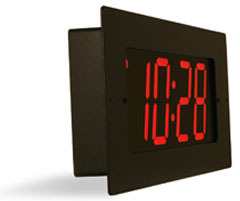 Inova OnTime® analogue clocks provide accurate, synchronized time throughout a facility in a sleek analog format. Visible at over 100 feet/33 metres, these clocks keep everyone on the same schedule. ** Clock price based on a 5 (FIVE) clock order, single or less than 5 clock purchase will incur a higher price due to higher international freight per clock. NEMA 4 definition: Enclosures constructed for either indoor or outdoor use to provide a degree of protection to personnel against incidental contact with the enclosed equipment; to provide a degree of protection against falling dirt, rain, sleet, snow, windblown dust, splashing water, and hose-directed water; and that will be undamaged by the external formation of ice on the enclosure. 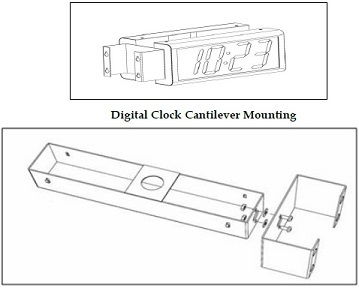 With an optional mounting kit you can hang OnTime clocks from the ceiling or wall, allowing greater visibility in areas like hallways. 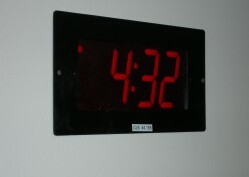 You can also piggyback two clocks, so time is visible in both directions. This method of hanging requires to supplement the mounting kit with two suitable locknuts and a length of ¾” (1.9 cm) pipe or conduit. 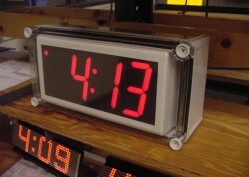 Visible at over 150 feet (45 Metres) with 4-inch/100mm numerals consisting of seven-segment, red or green LEDs. Power over Ethernet technology lets you deploy a synchronized clock system without the cost of installing AC outlets, using your existing Ethernet LAN and the same network components as IP phones. 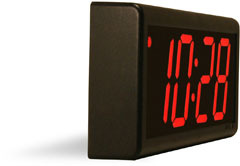 Time is automatically set by Simple Network Time Protocol (SNTP) — no master clock or serial connection required. A standard Telnet session provides complete control over IP configuration, SNTP server address, time zone configuration, display format (12/24 hour) and clock status reporting. 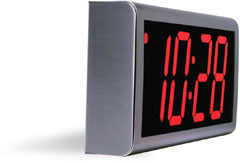 ** Single Clock Import, prices reduce with quantity.